TUCSON—Today, a judge ordered the U.S. 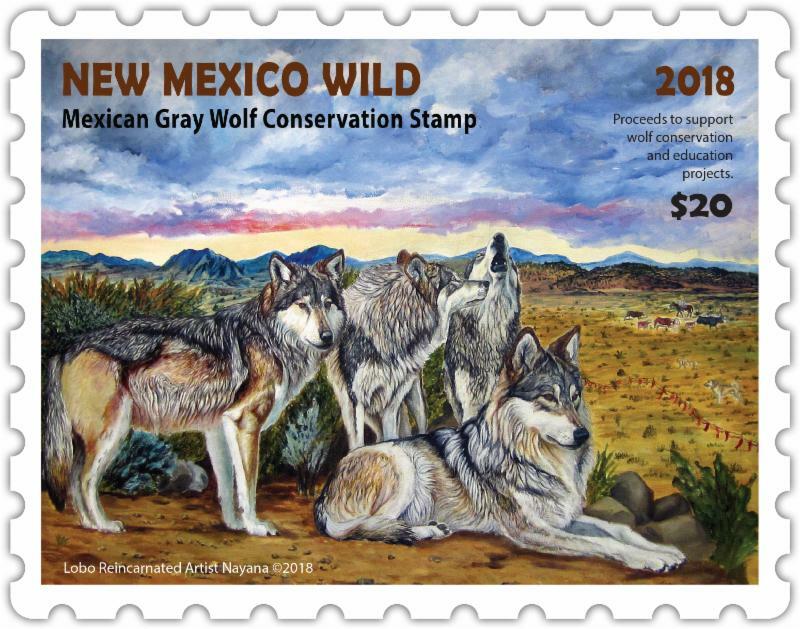 Fish and Wildlife Service ("Service") to go back to the drawing board on its deeply flawed 2015 Mexican wolf management rule. The court rejected the Service’s distortion of science to fit the political goals of increasing allowable killing, setting a population cap, and limiting the wolves’ range. The judge found the rule further imperiled the endangered species, and the Service illegally failed to reconsider the wolves’ designation as a "non- essential" population. The Mexican wolf is the smallest, one of the rarest and most genetically distinct subspecies of gray wolf. The species was listed under the Endangered Species Act in 1978, but recovery efforts have largely foundered because the Service has yet to implement scientifically recommended recovery actions. Pretty soon, New Mexico’s warming weather will send us outdoors to play, to spend time with our families beneath the brilliant blue sky, and seek out opportunities to hike, bike, hunt, fish and watch the migrating birds head north for the summer. Many of these activities will take place on our shared public lands — from our parks to monuments to recreation areas, but also within the 9 million acres of national forest lands across our state. We are blessed to have these opportunities in the wild. Now we must do all we can to ensure future generations can share in the same experiences by defending our public lands and the threats our national forests face. We have seen vitriolic attacks on our public lands since the day President Donald Trump and Interior Secretary Ryan Zinke got to work: from the unprecedented acts of dismantling and shrinking our national monuments to ordering drilling in the Arctic National Wildlife Refuge. Now Congress is getting in on the action and introducing legislation to roll back protections for national forest roadless areas across the country that would leave them vulnerable to development and industrialization. While some of these attacks are on specific places, like the Tongass National Forest in Alaska, they are no less concerning and dangerous, given the potential domino effect we could see on national forest roadless areas in other parts of the country, including New Mexico. Just as the Trump administration’s rollback of protections at Bears Ears and Grand Staircase-Escalante national monuments in Utah weakened the monument standard set out under the Antiquities Act, and just as the Interior Department’s recent land swap in Izembek National Wildlife Refuge threatens the high standard of federally designated wilderness, weakening protections for national forest roadless areas to allow for road building, logging and other industrial development is a slippery slope. Dismantling protections for roadless areas on one national forest — wrong in itself — could also put roadless areas elsewhere at risk. The Forest Service adopted a law, commonly referred to as the Roadless Rule, more than 17 years ago to protect the host of values that unroaded, undeveloped lands bring to our national forests. National forests serve as the source of drinking water for more than 60 million Americans, and their roadless areas contain all or portions of 354 municipal watersheds. If you recreate in our national forests, you’ve quite possibly visited a roadless area without knowing it. Protected roadless areas provide the scenic backdrop for many places, including public lands surrounding the Pecos Wilderness and parts of the Jemez mountains. Some of the best game and cold-water fish habitat in the state is within roadless areas. Jeopardizing these values would be shortsighted, and we would lose far more than we would gain. Democratic New Mexico Sens. Tom Udall and Martin Heinrich have long championed our state’s outdoor recreation heritage and economy. In an effort to defend New Mexico public lands, our senators recently introduced legislation that would establish enduring protections for 51 national monuments across the country, including New Mexico’s Rio Grande del Norte and Organ Mountains-Desert Peaks National Monument, which are threatened by President Trump’s national monument review. Whether it’s the Santa Fe and Carson National Forests in New Mexico or the Tongass National Forest in Alaska, these are public lands that belong to all Americans. As New Mexicans, we share ownership and responsibility for these special places. It is imperative that we draw a bright line when it comes to protecting our national forest roadless areas. An attack on one roadless area is an attack on them all. And that goes for attacks on our public lands as far away as Alaska. These are uncertain times, but it is reassuring to know that we live in a state where we can count on our senators to stand up in support of policies and funding that reflect New Mexico’s value of public lands.